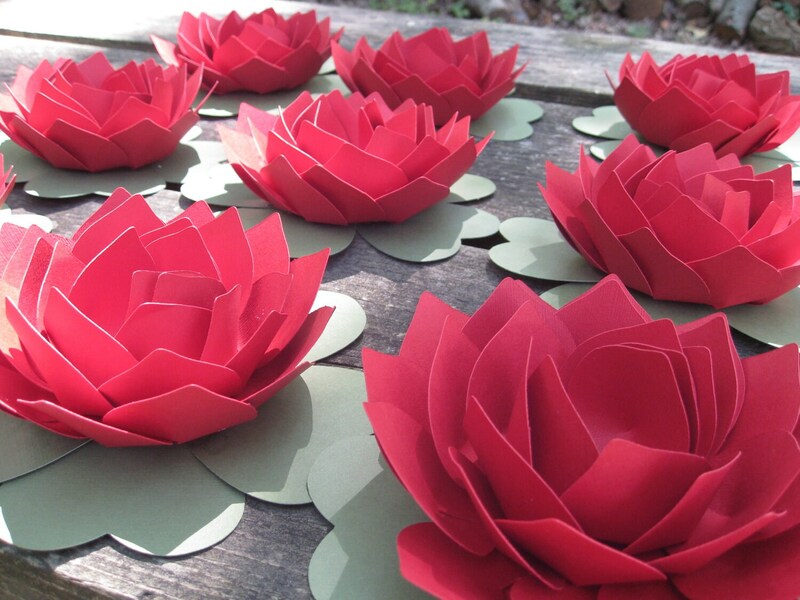 10 Lotus Flowers. CHOOSE YOUR COLORS. 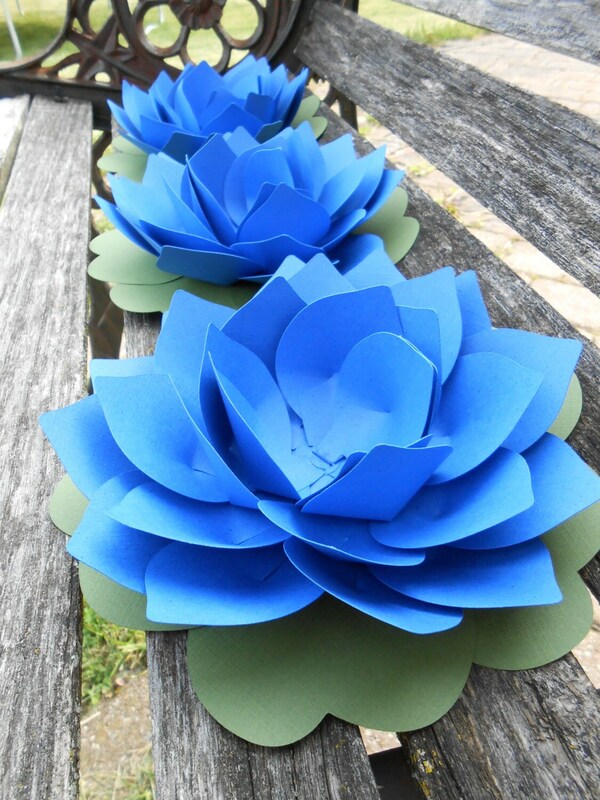 Wedding Table Number Holders. 5 inch. Any Color, Amount. Custom Orders Welcome. 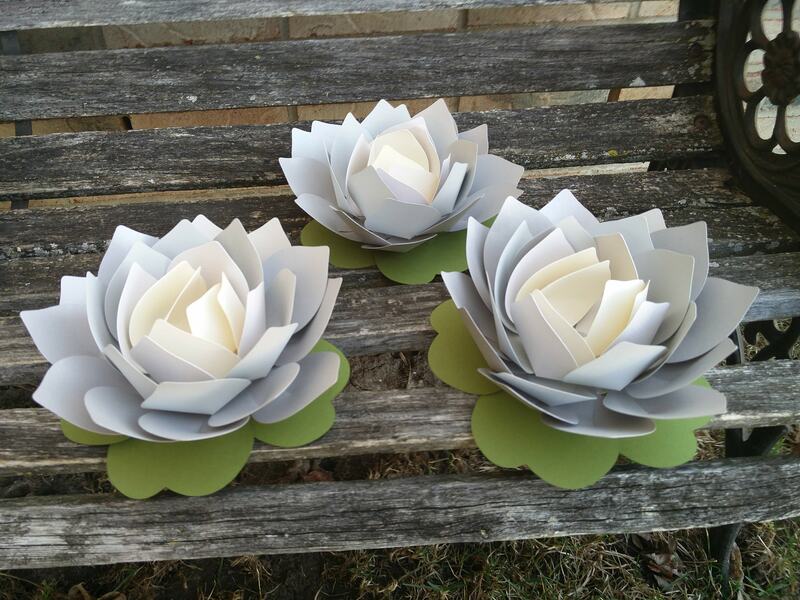 These huge lotus flowers are the perfect thing to give your guests or decorate your tables. They look great with ANY wedding theme. I can do them in ANY COLOR OR AMOUNT. 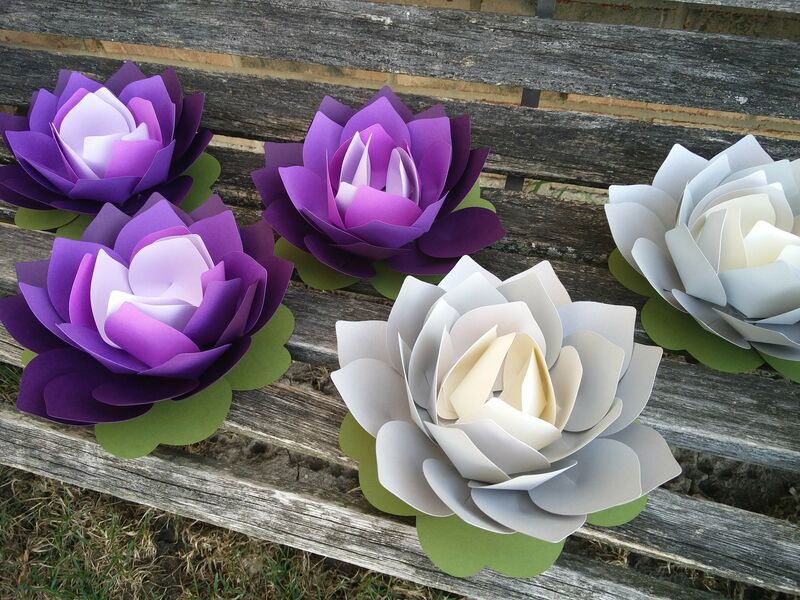 This listing is for 10 lotus flowers. 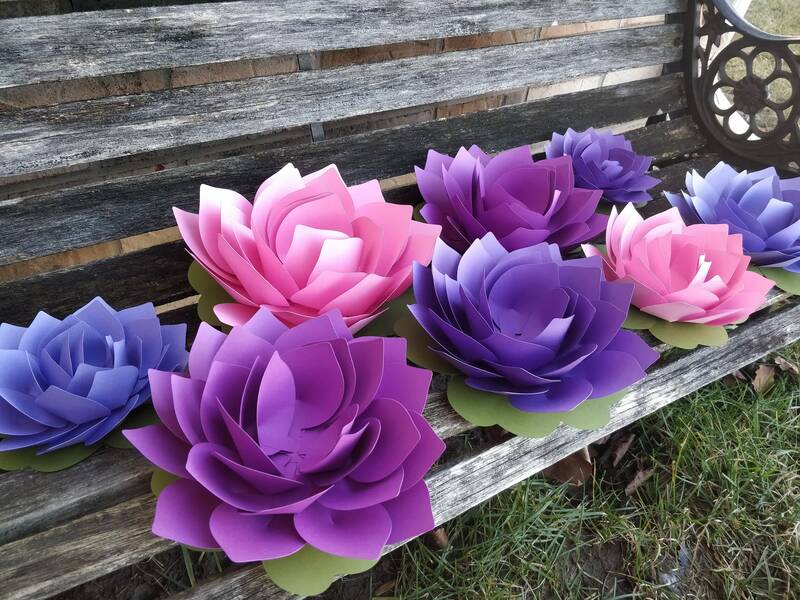 These are perfect for wedding decorations. 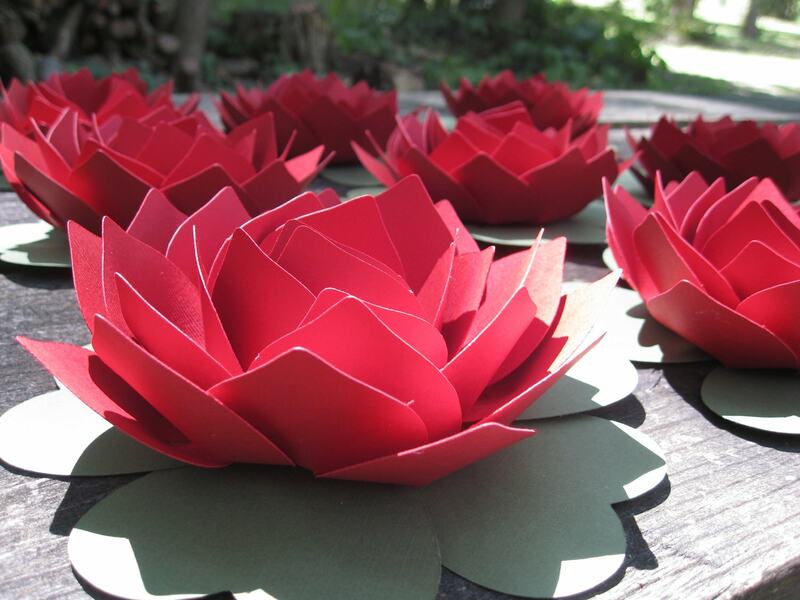 Put them on your tables or around the tent. 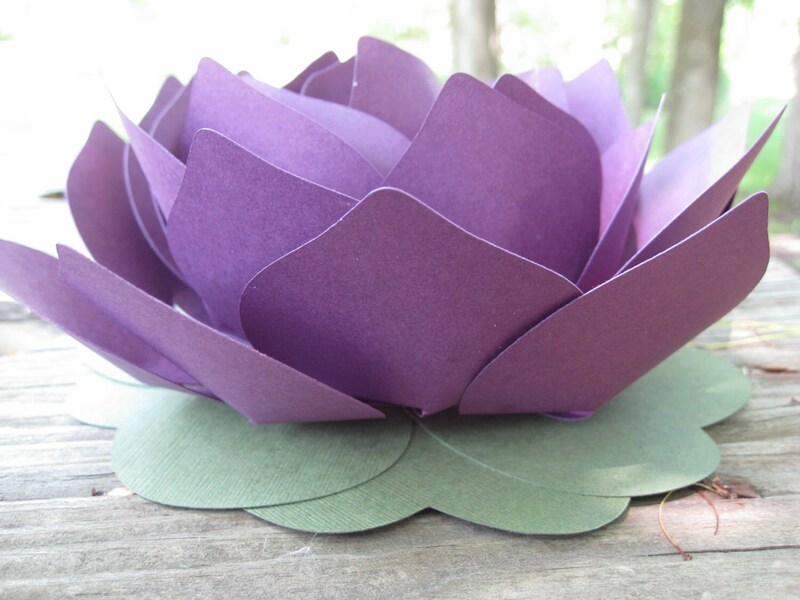 The flower measures about 5" wide and 3" tall and sits on green leaves, and are made from a nice cardstock. 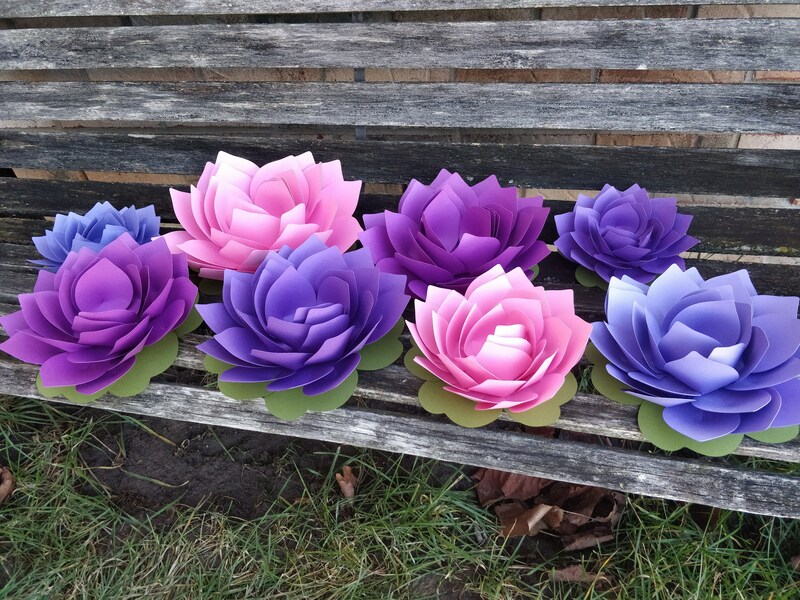 This listing is just for TEN lotus flowers. If you need more, go ahead and purchase as many sets as you need. Or send me a message and I will set you up a listing. 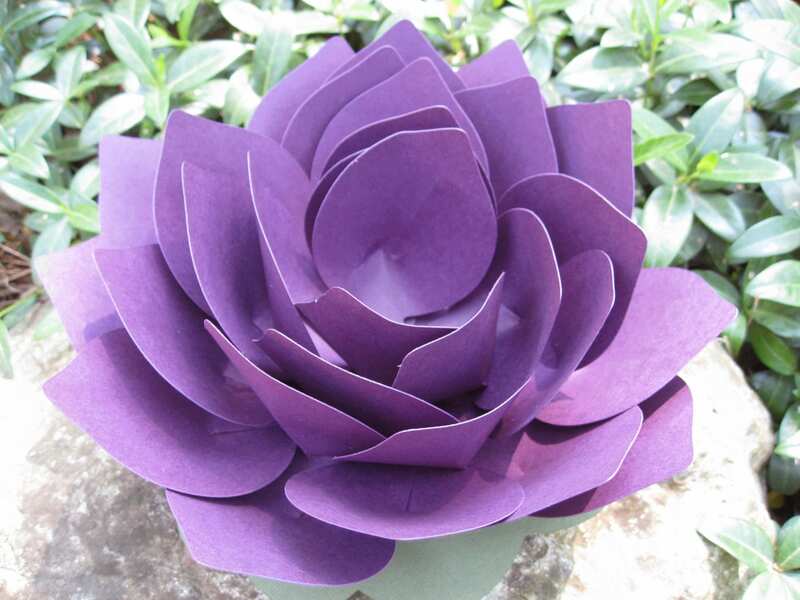 ***Please allow me 2-3 weeks to put together your flowers.